Dallas, Texas has a well earned reputation for doing things big. Hence, the city’s mantra: “Everything bigger in Texas.” When it comes to the arts and entertainment, it’s a well earned reputation indeed. (Think Erykah Badu and America’s Team the Dallas Cowboys). Before long, the Dallas International Film Festival (DIFF) will be poised to become the Next Big Thing to draw folks to the Lone Star State. With an eye toward the glamorous days of Old Hollywood, the DIFF has continued to provide outstanding film programming and star studded events for an eager, film loving audience in Dallas. The DIFF began when Michael Cain closed the doors to the annual Deep Ellum Film Festival to invest a substantial amount of money to license the Los Angeles based American Film Institute’s name and consultants over a three year time period to develop the AFI Dallas Film Festival. 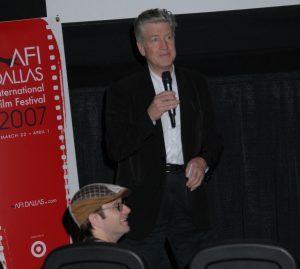 Cain’s goal was to replace AFI Dallas with the Dallas International Film Festival. This happened in 2007 under the auspicious guidance of the Dallas Film Society (DFS). Cain explained to one local publication at the time that it was to control its own brand with the ability to develop what they wanted to do with the festival, and what they wanted to be in the future. To obtain this goal, the DFS was developed as a separate entity that provides year-round programming as well as oversees control of the DIFF. 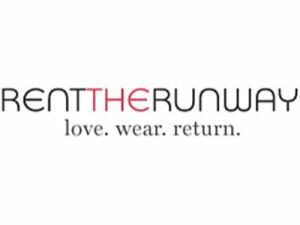 By severing its ties with AFI, it allowed them the opportunity to brand itself as a Dallas institution. 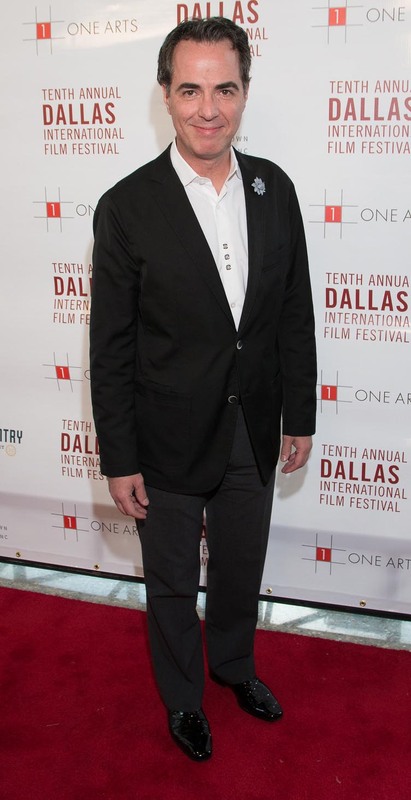 Two of the biggest contributor to making this happen are Director of Press and Public Relations for the DIFF John Wildman who recently sat down to talk with Soul and Salsa Magazine on celebrating 10 years of the Dallas International Film Festival. Soul and Salsa: What are some of your best/favorite memories/experiences of the Dallas International Film Festival? John Wildman: Escorting Lauren Bacall and Dominique Peck (Gregory Peck’s widow) past press on the red carpet when they inadvertently “landed” on it after exiting a restaurant nearby. Let’s see, talking to Oscar nominee Rinko Kukuchi and encouraging her efforts to use her freshly learned English. Another favorite was holding a chimpanzee while a documentary director did interviews on the Red Carpet, an interview that David Lynch did with our video crew going viral following his spirited denunciation of product placement in films, and having my film, THE LADIES OF THE HOUSE, debut to a full house for its world premiere screening with many cast and crew members on hand to celebrate and enjoy the moment. Also, honoring my friend and Oscar nominee Ed Lachman this year (2016) and getting to have an in-depth conversation on film with him for the DIFF film fans. S&S: Name some of the best Red Carpet/celebrity moments, in your opinion. JW: Lynch refusing to walk the red carpet, but sitting nearby having tea at restaurant with his table placed next to me as I ran the carpet at the West Village. Charlize Theron surrounded by film fans looking down on our red carpet in North Park. Alice Krige pulling out all of the stops, glamour-wise on a red carpet in the West Village. The legendary Karen Black entertaining everyone on the carpet with her quirky and fun responses to the interviewers. Ann-Margret charming everyone with her singular presence at Victory Park. 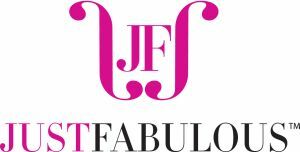 The annual appearance of Dallas’s own Farah White, making everyone stop in their tracks with her stunning style and beauty. S&S: Who are some of the filmmakers who were previously featured at DIFF who went on to do great things? JW: David Lowery and Toby Holbrooks (PETE’S DRAGON) are the obvious answers here. S&S: How has the DIFF changed over the past 10 plus years? JW: The biggest change has been the growth from its American Film Institute/AFI DALLAS roots, and the personality that the film festival took from its founders, Michael Cain and Liener Temerlin – which, in many ways, was go big all the time and push all the “give ‘em a show” limits placed in front of you to really shake up the town, to the gradual adoption of the personality of Artistic Director James Faust. He is one of the most skilled film festival programmers on the scene today. His ability, each year, to thread a careful balance between audience friendly fare and provocative and challenging works and subjects is amazing and keeps the Dallas film fans forever on their toes while they have a great time. S&S: What made you fall in love with film? JW: Film has such boundless possibilities, not simply with the technology that keeps making huge leaps in what we can put on the big screen (or even the smaller ones), but also in pure storytelling and tapping into the human spirit and heart and mind. I saw the things [film] could do that theatre could not. I was inspired by that boundless and endless potential that I could take advantage of as a filmmaker. S&S: Thinking about “Old Hollywood,” who are some of your favorite actors and films (favorite black and white film, or legendary actors) from that era? S&S: Throughout the years, several big named actors (Blythe Danner, Adrien Brody, Charlize Theron) directors (William Friedkin, John Landis, Sarah Polley) and producers (Sherry Lansing) have be awarded the Dallas Star Award. How does the DIFF decide who is selected for this honor? JW: First let me give you more of a more thorough list of filmmakers that have been honored with the Dallas Star Award. They include: Robert Duvall, Lauren Bacall, Sydney Pollack, Marvin Hamlisch, Robert Towne, David Lynch, Charlize Theron, Adrien Brody, Kathryn Bigelow, Peter Bogdanovich, Frank Darabont, John Lee Hancock, Wally Pfister, Laura Linney, Sherry Lansing, William Friedkin, Lee Daniels, Marisa Tomei, John Lithgow, Ed Lachman, Ann-Margret, and Isabella Rossellini. We have also honored the following with the Dallas Shining Star Award: Amber Heard, Gabourney Sidibe, Mary Elizabeth Winstead. To be clear, the Dallas Star Award is given to a filmmaker (director, actor, screenwriter, producer, etc.) that has made extensive contributions to the art of cinema through their work in film. It is, admittedly, subjective criteria that takes into account the scope and breadth of one’s career and their achievements in front of or behind the camera. The Dallas Shining Star is awarded to an individual that has demonstrated great talent early on in their career with much promise of future accomplishments in front of or behind the camera. S&S: Could you name a mentor, actor, director, producer who has influenced the direction of the DIFF from its inception? JW: Of course, the co-founder of AFI DALLAS (which then became DIFF), Liener Temerlin has to be mentioned at the outset. His directive, that the art of filmmaking be placed on the same pedestal as the other arts, still drives the festival to this day. Another key mentor would be the legendary L.M. “Kit” Carson. A true “maverick”, hence the award we created in his name for this year’s edition of the fest (presented to Monte Hellman) Carson was a filmmaker that had great success, collaborated with other filmmakers on some of their best work, and was a great presence in the early years of the film festival. I would also include Bill Paxton, as he has been a source of great support and spirit for the film festival over the course of the first ten years. S&S: How do you see the DIFF growing or evolving over the next 20 years? JW: I believe DIFF will continue to solidify itself as one of the preeminent film festivals in the Southern portion of the country. It is already looked upon as a “must-stop” film festival on the regional tour, not to mention, the largest (by number of films), and easily one of the most respected film fests, not just in Texas, but, beyond that as well. However, there is still a hunger within the Dallas Film Society to continually improve in terms of presentation of films for our audiences, advance new technologies like VR (virtual reality), serve the local filmmaking community with concrete benefits for Dallas and Texas filmmakers, and to keep bringing the best filmmakers to Dallas to interact with the great film fans here. S&S: Who are some of the heavy hitters on the Dallas Film scene? JW: We have a number of filmmakers that are very talented and prolific, but some of my favorites include: Johnathan Brownlee, Ya’Ke Smith, Farah White, Liz Cardenas Franke, and Daniel Laabs. 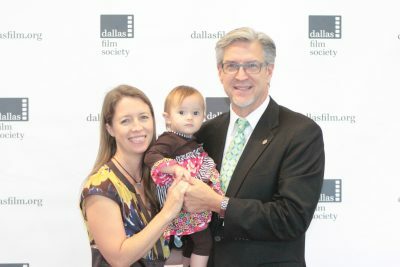 S&S: Thinking about Dallas filmmakers, actors, directors, and producers, what is unique, or what separates Dallas filmmakers from filmmakers in the rest of the country? JW: My first response to this is that the Dallas filmmaking community has a generosity of spirit that is rare. People making films here want to work with other people making films and they want to see those projects completed and up on the screen. What that means, is that decisions are often made and support is given that goes beyond a paycheck or a line credit – and that is invaluable to have on your side when you are in the process of making a film. It is why we shot my film, THE LADIES OF THE HOUSE, here is Dallas, and why we’ll make the next one here as well. Yes, financial incentives are necessary to lure film production to your area and your state, but you also need a great infrastructure with talented, below the line technicians and crew, and a wealth of local talent to draw from to put in front of the camera as well. Dallas has all of that along with a number of fantastic studio facilities that any director or producer work with. Thank you for your one and one and I look forward to another exciting decade of Film goto http://www.dallasfilm.org to submit a film or attend the festival.